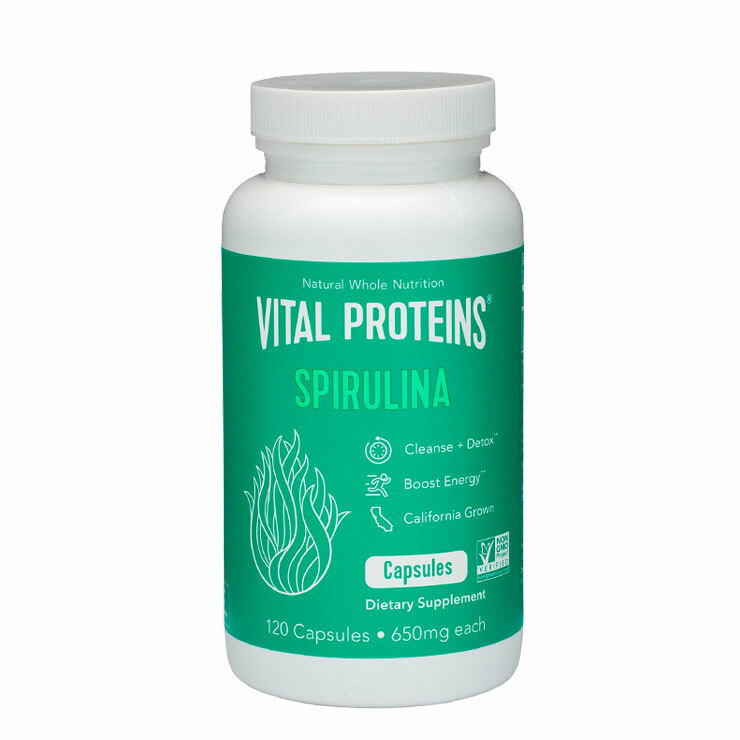 Vital Proteins Spirulina is a suitable supplement for any diet, including vegan. 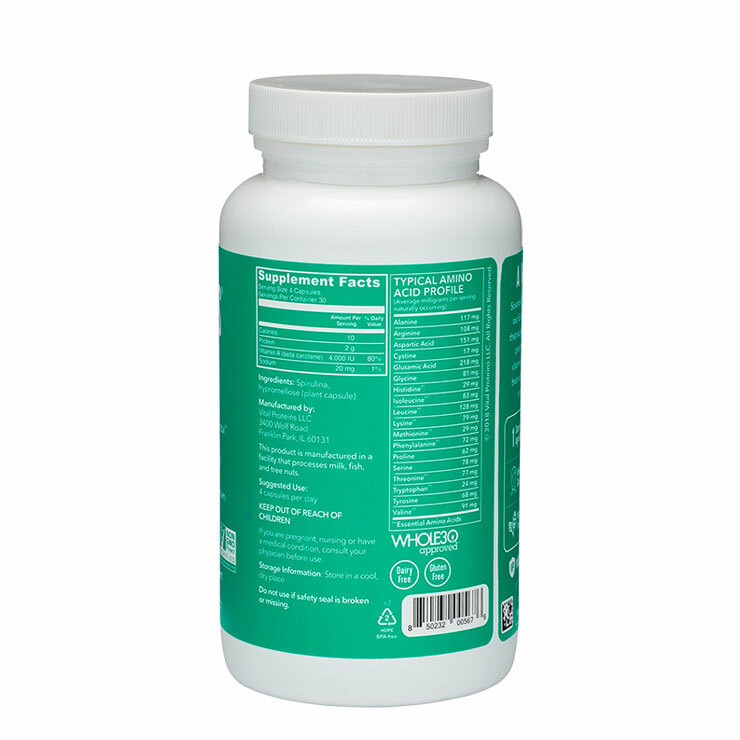 Rich in vitamins A and K, spirulina is sourced from blue-green algae and lends a feeling of detoxification to the body. Also a natural source of plant protein and antioxidants, use when experiencing feelings of low energy or lowered immunity. 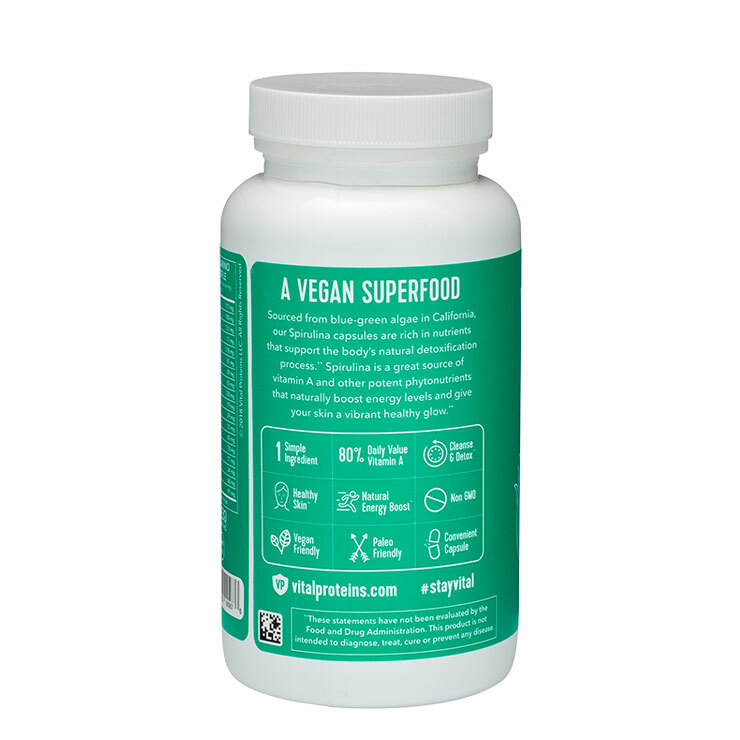 This spirulina supplement is vegan, paleo friendly, Whole30 approved, gluten-, dairy-, and sugar-free. Take one capsule each day to improve feelings of sustained energy, vital immune system, and to make the body feel detoxified. This supplement is vegan friendly.